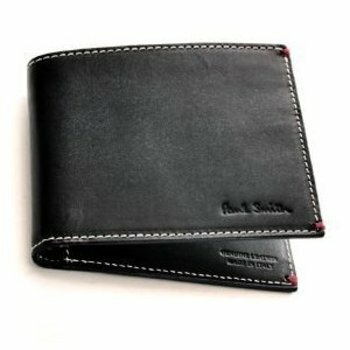 Paul Smith mens naked lady football series black leather bill fold & credit card wallet. 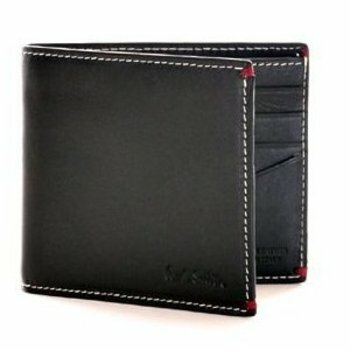 Holds 8 credit cards. Width 11cm Height 9cm. Embossed signature logo on front. White stitch trim. Reinforced corners in red thread. Made in Italy.